There are numerous question marks for NBA free agent guard Terrence Ross as he enters the offseason, but he knows one thing is for sure. Thursday afternoon, the avid Marvel Comics fan was headed to see the new movie Avengers: End Game. Could the Broncos’ quarterback of the future be taken with the No. 10 pick? Mel Kiper Jr. thinks so. The ESPN draft expert has the former Ohio State star heading to Denver in his final NFL mock draft, which was released Thursday. Kiper had cornerbacks Deandre Baker of Georgia and Greedy Williams of LSU going to Denver in his previous mock drafts. Haskins, 21, completed 70% of his passes for 4,831 yards, 50 touchdowns and just eight interceptions for the Buckeyes last season. Kiper has Oklahoma QB Kyler Murray going first overall to the Arizona Cardinals. ESPN’s Todd McShay has Michigan linebacker Devin Bush going to the Broncos in his final mock draft, also released Thursday. The NFL draft kicks off at 6 p.m. Thursday in Nashville, Tenn. The SEC could be coming to Central Florida, with officials reportedly considering Orlando and Tampa as possible hosts for the league’s annual football media days. 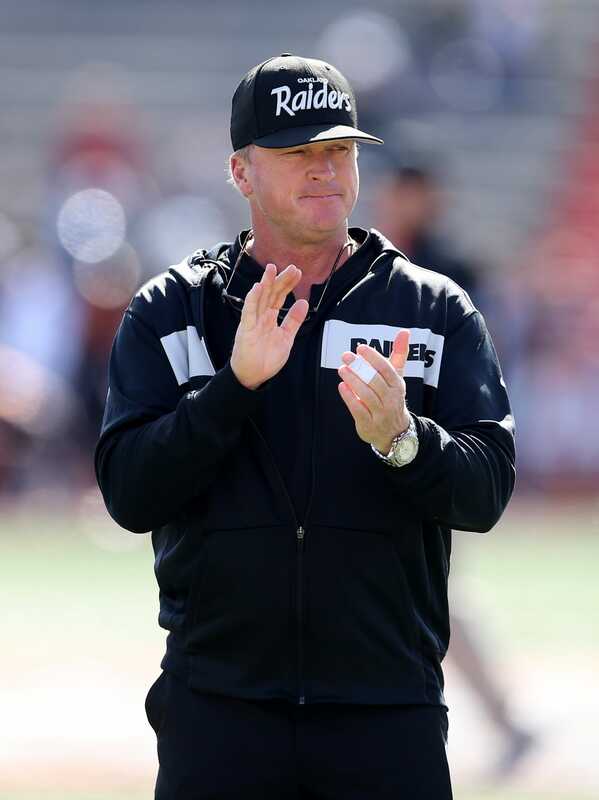 With three first-round picks, the Raiders enter an NFL draft that could determine the course of Jon Gruden&apos;s rebuild of the franchise. Windermere High power forward Dakota Rivers, the key piece in the middle for a 27-5 Wolverines team that reached the state tournament as a second-year program, is on the Class 8A boys basketball All-State first team as selected by Source Hoops and the Florida Association of Basketball Coaches. However, there was one glaring omission: Chris Harris Jr. The Broncos star cornerback — who recently asked the team for a trade if he’s not given a new contract — noticed his absence and responded “this real cold” on Twitter. In response, the Broncos re-released the image, this time with Harris added to the left of Von Miller and Derek Wolfe, and above Isaac Yiadom and Casey Kreiter. GM Brian Gutekunst comes into his second draft with 10 picks, including an additional first-rounder from last year’s draft-day trade with the Saints. What will he do with the Packers’ 10 picks? A couple of familiar faces will be stepping up to the mic during Friday's second and third round. A draft story for the ages. Two sports, one draft steal. Photo - Who will the Ravens welcome tonight??!! Who will the Ravens welcome tonight??!! The day is here. Who will it be at 3? OLB Montez Sweat posted double-digit sacks each of the last two years, totaling 22 sacks in 26 games at Mississippi State. In six drafts as our general manager, Dave Caldwell has never traded down in Round 1. That doesn’t mean he’s averse to the idea. Anything can happen tonight. For the first time ever, Nashville will host the NFL Draft. In 1998, the hometown Titans made a move that allowed the #Vikings to eventually land future Hall of Fame WR Randy Moss. Photo - The stage is set. Video - You wanna be a Bronco? You wanna be a Bronco? Hey NFL, we're not biased or anything but we think lifelong #Eagles fan Matt MacMillan should win the Tickets for 100 Years contest. 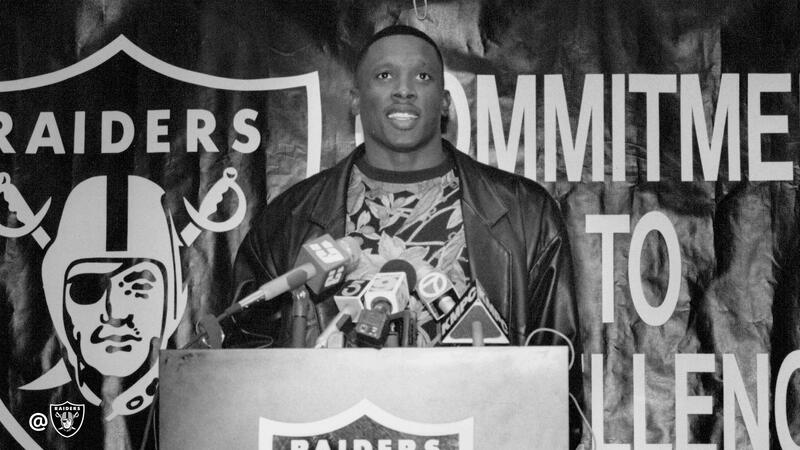 The last time we had three first-round picks in one draft we took this guy with one of them. Video - The excitement of draft day. The excitement of draft day. Sony Michel, a 1st round pick in last year's Pats Draft, recalls the emotion he felt that day. Video - A new head coach means a voluntary veteran minicamp. A new head coach means a voluntary veteran minicamp. It's not usual, but the #Bengals held practices the week of the NFL Draft. Video - Daniel Jeremiah's FINAL 2019 Mock Draft! Daniel Jeremiah's FINAL 2019 Mock Draft! The Titans have announced the complete itinerary for the Academy Sports + Outdoors Titans Caravan, a regional series of community appearances and free, public autograph signings. Photo - Your Bills have arrived! GM Kevin Colbert reminisce about past drafts as he approaches his 20th #NFLDraft in Pittsburgh, how the pick is actually made and more. Video - We're not crying - YOU'RE CRYING. We're not crying - YOU'RE CRYING. Video - "With the 40th pick in the 1993 NFL Draft, the New York Giants select..."
"With the 40th pick in the 1993 NFL Draft, the New York Giants select..."
26 years ago today, we drafted a Hall of Famer. Nat Moore takes a look back at our #2 overall pick in 2005, Ronnie Brown and earlier this week we joined together with Baptist Health South Florida to provide new equipment for the tackle and flag football teams at Pahokee High School. This is your Dolphins Daily. Turn that volume up now. Defensive tackle is now deep and talented with Tim Jernigan's return, writes #Eagles Insider Dave Spadaro. In 61 career games, Tim Jernigan has 129 tackles, 54 QB pressures and hits, 26 tackles for loss, and 15.5 sacks. Photo - Dreams will become true this weekend at the NFL Draft! Dreams will become true this weekend at the NFL Draft! Who will get their name stitched in red and gold? Will we make a first round pick? Will we make any trades? Will we draft a QB? Tonight’s the night! Who will we select in this year’s NFL Draft? Video - The golden smile is back in midnight green for another year. The golden smile is back in midnight green for another year. Titans Online takes one final tour of the mocks, and look at what 50 draft analysts think the Titans will do with the 19th overall pick. Photo - Roster Move: #Eagles and DT Tim Jernigan have agreed to terms on a one-year contract. Roster Move: #Eagles and DT Tim Jernigan have agreed to terms on a one-year contract. Video - It's a big week in Green Bay. It's a big week in Green Bay. The #Packers hit the practice field for minicamp & the #NFLDraft starts TONIGHT. Ole Miss WR D.K. Metcalf dominated this year's NFL Combine! Fran Duffy takes a look at the promising wideout in our latest Meet the Prospect. Video - "This is where the big dogs sit." "This is where the big dogs sit." Lauren Screeden & Mark Sadowski, our Director of College Scouting take you through our brand new, multi-million dollar draft room. Only one team has more picks than the #Texans in the top 100. Mailbag: Another Solution For Backup RB Need? Can either Darius Jackson or Jordan Chunn serve as competent short-term solutions if Zeke were to miss a game or two?